Click below to listen Xina Marie Uhl narrate my horror short story “Talebones” and learn if Meela can win justice for her murdered mother…. 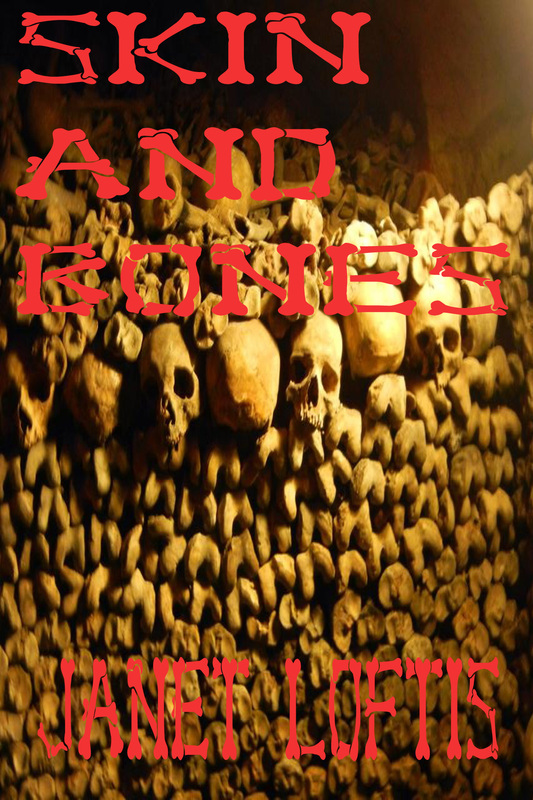 Skin and Bones (3rd Edition) now available on Amazon Kindle! On the heels of my first ever review (5 stars! )(Thanks Rue37!) on Amazon Kindle, I have released an updated, third edition of “Skin and Bones.” It now includes six additional stories, three of which previously comprised the shorter “Mother’s Day” collection: Wishing Well, Blood on the Scarecrow, and Babies in the Backyard. These stories continue my gruesome take on the horror genre (and motherhood, in their case). The three other stories offer something completely different and had originally been excluded because I didn’t feel they fit the collection’s genre theme. But, as any horror author or reader can tell you, horror takes many, many forms. It doesn’t need monsters, zombies, gruesome deaths, skeletons, bloody knives (although that helps), and strange or mysterious settings. It only needs darkness (literal or figurative) and dread. So “Red Rover, Red Rover” – inspired by my own experiences with childhood bullying – gives you the not-so-friendly world of kids’ games…and that quiet man who lives on the corner. “Dolls on Walls” was inspired by an episode of Animal Planet’s Animal Cops: Detroit (which ran from 2002-2006). In it, the humane society’s investigators walk into the home of yet another hoarder and are greeted by a bunch of dolls stuck to the walls. As they stare in wonder at the visage highlighted in their flashlight beams, they have a conversation that goes something like “Wow, I’ve never seen anything like this before” and “This is worse than all the others” and “What could have made this person do this? cover the walls with dolls?” I thought to myself…what could have made somebody do that? “The Promise of Driftwood” was inspired by, you guessed it, a piece of driftwood. Of all things, it was a piece of driftwood in the campy horror classic “Lake Placid”….but don’t hold that against me…or do (if you consider that one of your favorite guilty pleasures). But my story has nothing to do with giant alligators, cranky sheriffs, or Betty White. Its horrors are more common – the fear of drowning; and more subtle – a family so disengaged they are virtual strangers. Bonus quote: “Is that wrong? To wish for the chewing of law enforcement?” (Betty White in “Lake Placid”).